To order, select the WIDTH, HEIGHT and the QUANTITY in LINEAR FEET in the spaces below and click ADD TO CART. Repeat for each Color, Width, Height combination that you wish to order. SlabGasket™ is sold "By-The-Foot". QUANTITY = FEET. Use the width to select the proper fitting SlabGasket size. The height (tall) of each size is provided below only so that you can insure you have sufficient depth. Properly fitted SlabGasket will stay in place as set; SlabGasket does not need to extend the full depth of the expansion joint. The most common size is Regular height, 7/8” width x 1 7/8” tall. * If you remove the rotted expansion joint and have less than 1 1/4” of depth, Shorty Height is usually the correct product to use. Note: All SlabGasket sizes have an open hollow core, except for 1/2” and 5/8” widths, which are solid core. View All Available Sizes of SlabGasket™ Expansion Joint Replacement. 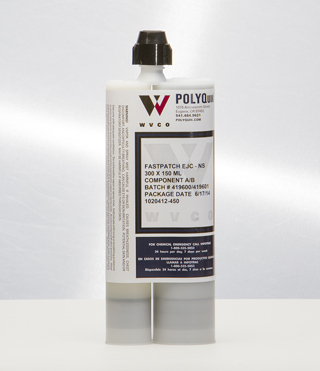 A free SlabGasket Sample Pack is available that includes both Gray and Almond color samples ranging from 1/2" to 1 1/8". SlabGasket Sample Packs are also available with the larger sizes (SlabGasket XL Sample Pack) for joints wider than 1 1/8” up to 2”. How do you install SlabGasket? Installation can be as easy as scratching out the rotten wood and stepping in SlabGasket. Click to view or download the SlabGasket Installation Tip Sheet. SlabGasket cuts easily with garden pruning shears, a sharp pocket knife, or a box cutter. SlabGasket requires no curing or waiting. Walk or drive on Slab Gasket immediately. Order SlabGasket by the foot. Order only what you need! Do you have unsightly weeds in those cracks and crevices? Are the expansion joints in your parking lot, sidewalk, driveway, patio or pool now rotten or missing? Why not replace them permanently? SlabGasket™ Expansion Joint Replacement is the perfect and cost effective solution to replace that rotten wood for life. Manufacturers Limited Warranty: 10 years against crumbling or decay. 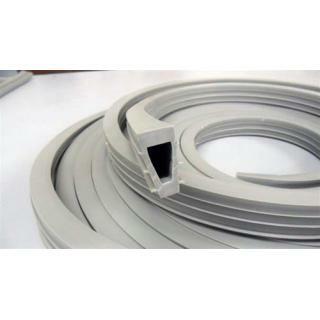 SlabGasket XL Expansion Joint Replacement - 1 1/4"
SlabGasket XL Expansion Joint Replacement - 1 3/8"
Awesome product. My driveway took 2 sizes I would recommen ..